How do you #ExpressYourself? Signals worked with Colchester Library to explore how we can encourage young people to embrace creativity as a form of self-help and improved wellbeing. #ExpressYourself set out to help children feel more connected and included in their community, allowing them to make positive lifestyle choices. Over the past six months, this project allowed us to gain a better understanding of the issues facing children currently and how best to tackle these. All whilst having fun and sharing their experiences with others. 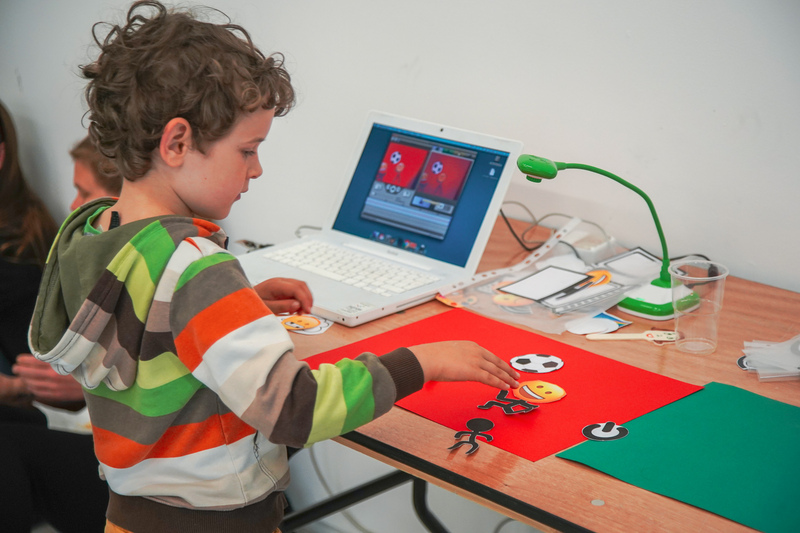 Throughout the duration of the project we ran a variety of creative workshops, exploring self expression and creativity through animation, filmmaking and even video game making. The animation workshops invited participants to respond to the question “what makes you happy”, which lead to fantastic animations about sport, dance and painting. We also experimented with using paper emojis for ‘cut out animation’. These colourful characters were a huge success, offering a quick way to communicate different emotions in a universal language. Animation offers a fantastic way for young people to project their emotions, especially feelings or ideas they may not have the confidence or vocabulary to communicate effectively. Its also a skill which is ‘easy to learn and hard to master’, meaning everyone can make something quite quickly, but the longer you spend the more rewarding the final animations are. 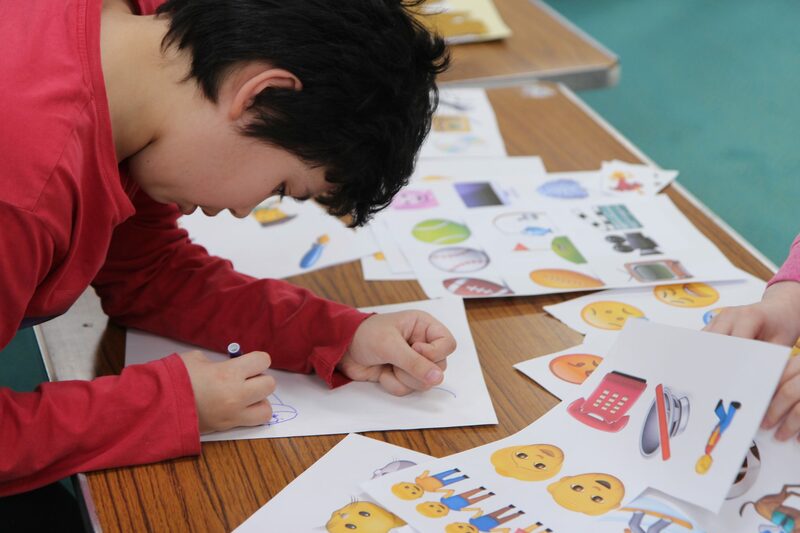 At our video game making workshops we continued with the successful theme of emojis, but this time exploring how we could use emotions as a game play feature. Working with young people aged 11-13, we used the Construct 3 game engine to make video games which used emotions as power-ups to overcome obstacles and challenges. Anger became a way of speeding past obstacles, fear a way of sneaking under them and excitement a way of jumping over them. Once we established these core ‘game mechanics’, the participants then designed their own game levels finding exciting ways to show how its healthy to acknowledge our emotions and even use them to our advantage. Play the games for yourself here. One of the core aims of the project was to create a resource for other young people to use, so we assembled a talented team of twelve budding young filmmakers and over four days we made a short film about the five ways of well being and how you can #ExpressYourself with creativity. Our film crew of talented young creatives helped out in front of, and behind, the camera – making music, animations and even acting and dancing in the film itself. We began the week by recording sound effects around the library, from which the soundtrack was composed – pages being flicked, books being closed and computer keyboards clicking. Next up was working with animator Dan Root, using stop motion animation to create the animated scenes between each of the different ‘five ways of wellbeing’. Lastly was our dance workshops with Limitless Street Dance group, and Lady P with her circus skills. Check out the behind the scenes video below. We topped off the project with a premiere at the Firstsite cinema, alongside more free workshops and activities, celebrating the talent and hard work of all the brilliant young creatives involved in the creation of the film. We were also joined by Colchester Library who were advertising some of the alternative offers at the library, including their lego club and comic book making activity. A huge thank you to everyone who took part in the #ExpressYourself project, including our brilliant project partners and funders.